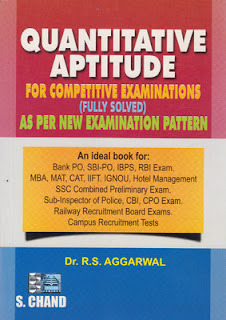 Buy Quantitative aptitude book by R.S.Agarwal for preparing competitive exams like Bank, PO, MAT, MBA, SSC, CAT, RBI Exam, Hotel management entrance, CPO, IBPS, SBI-PO and many more. with 28% Discount. 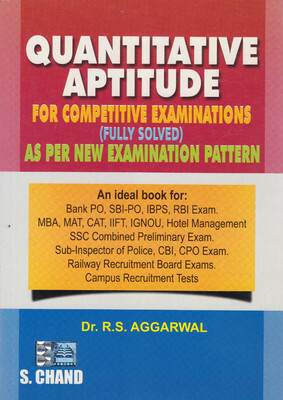 Market price for Quantitative aptitude for competitive exams by R.S. agarwal is 595 Rs, but in this Flipkart deal, you can easily get the benefit of this awesome deal and buy in just 425 Rs online. A great deal for all students who are preparing for any competitive exam, R.S Agarwal is known as one of the best author for providing Competitive exam books. For more awesome discount deals, coupons and freebies, stay along with All India coupons.